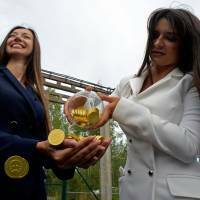 KIRISHI, RUSSIA - A Russian company on Monday opened what it said was the country’s largest cryptocurrency mining unit, in a former Soviet fertilizer-producing laboratory. The opening comes as Russian authorities seek to regulate the booming cryptocurrency sector. “This is the largest and so far the only farm in Russia that offers the ‘full cycle’ — not just producing cryptocurrency but also offering services to those who do the mining,” said Alexei Korolyov, co-founder of the Kriptoyunivers center. The creation of cryptocurrencies, which are traded on the internet independently of central banks, is energy intensive. 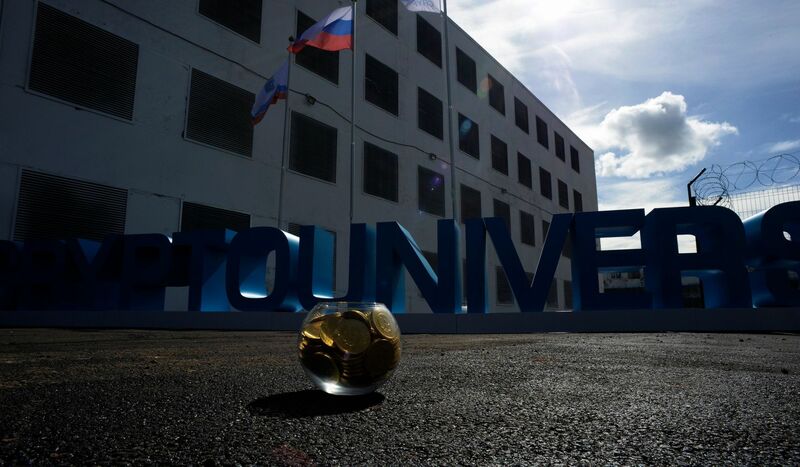 The northern Russian facility manufactures bitcoins, the most famous virtual currency, as well as litecoins — one of a number of competitors that flourished due to the success of currencies created using blockchain technology. The private venture covers 4,000 sq. meters in Kirishi, a town some 180 km (110 miles) southeast of St. Petersburg. 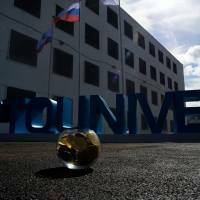 It was constructed on the site of the former laboratory, which stood unoccupied for 20 years, for an investment of around 500 million rubles ($7.4 million, €6.5 million). Russia is in third place after China and the United States in the ranks of cryptocurrency-producing nations since 2015, according to a study published at the end of last year by Ernst & Young. Russian authorities, like those in several other countries, are now looking to regulate virtual currencies. A law which would authorize the production of cryptocurrencies but forbid them being exchanged for rubles is currently being read in parliament.